The ultimate guide to Neustift ski holidays in 2019 & 2020. Neustift’s a friendly mountain resort that’s terrifically located for you to enjoy everything that’s great about the Austrian Alps. Knee deep in natural beauty, it’s the closest resort to the snow sure Stubai glacier (the biggest glacier in Austria) and the historic city of Innsbruck’s only a short drive away. 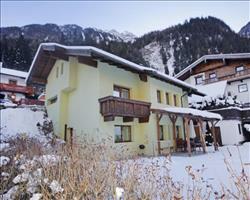 Situated in the Tyrol region of the Austrian Alps, at the bottom of the Stubai valley, is the village of Neustift. Over a hundred mountain peaks tower above the valley, some of which, like the formidable Habicht to the west, stand at over 3000m. This majestic backdrop is complemented by pine forests and, in summer, beautiful floral pastures. The area is dotted with traditional wooden huts, and the rococo-style church of St. Georg at the centre of the village also contributes to its unique charm, with its magnificent frescoes painted by some well-known masters. It’s not just a pretty face; the sociable atmosphere of this widely dispersed resort sees locals and skiers alike mingling, making for a lively après ski. This is also the ideal place for access to the famous Stubai glacier, the largest glacier in Austria and one of the world’s best for skiing. The slopes of the Elfer mountain are a great place to start skiing, and this small but perfectly formed area is easy to reach by gondola from the resort. At the other the end of the valley is the huge glacier area, snow sure from late September until mid-June, with runs covering over 110km and stretching up to 3150m. Families with younger children would struggle to find a better location than this, due to the excellent childcare facilities, numerous ski schools and accessible beginner’s runs. The resort and surrounding area has been voted ‘most family friendly region in the Alps’ four years in a row by the ADAC ski guide. 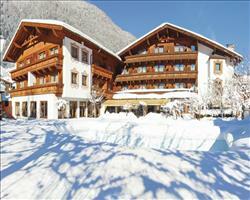 You’ll probably arrive at Neustift via the airport at Innsbruck. At some point during your trip, make sure you go back to Tyrol’s capital and check out its striking mix of modern and historic architecture, and the hip cafes and nightlife catering to its large student population. View our detailed Neustift snow forecast or snow report and see all live webcams, piste maps, road and travel maps and lift pass prices. For a picture of historic snow conditions see the snow depths month by month with our Neustift snow history. The entire ski area, including the local Elfer mountain area and the glacier, is around 1450 hectares. Beginner’s runs cover 21km, intermediates have 14km, and there are 5km of advanced courses as well as 19km ungroomed slopes that should be skied with a guide. Beginners will find the Elfer an ideal place to start. Accessible by the resort gondola, you’ll find plenty of short runs here to ease your way into the sport. Once you’ve mastered these you’ll want to take the hourly bus or drive 20 minutes further south to the Stubai glacier. At the entrance to the glacier is the ‘Schlick 2000’ area, very family friendly but offering you more of a challenge than Elfer, with a greater variety of longer runs. The Schlickeralm blue at 1600m is great for those who are starting to gain in confidence. Mixed ability groups will want to spend most of their visit around this area, as the runs further up are quite scattered and commuting between them can take a while. The top of the glacier is for those really looking to test their talents. Intermediates should try out the Eisjoch and the Daunenhang red runs, and advanced skiers shouldn’t miss the colourfully named Wilde Grub n’ Trail, which takes them down from the Gamsgarten area to the base station and covers over 10km, making it one of the longest runs in Austria. The rest of the black runs tend to be on the shorter side, but very wide and fast. ‘The Wall’ and ‘Steep Glacier Tongue’ are worth checking out for the experts. Freeriders will find 15 deep snow descents on the Stubai glacier, while freestylers can hang out in the well-groomed Snowparks. The SPS 2000 offers a half pipe, kickers and some steep curve and Moreboards Stubai Zoo has a variety of jumps and rails for different ability levels. Pay a visit to Austria’s highest restaurant, the Jochdole, or the Bellafonte, offering a great selection of pizzas and probably the best value around. The Grill Stube is a must for carnivores, with a large open grill where you can see your meat being cooked. Those looking for gourmet food and great wine should head to Schaufelspitz, or make the trip into Fulpmes for a wider selection of more upmarket restaurants. As for drinks and evening entertainment, there’s the lively Dorf pub, where you can bop along to live music every Wednesday and DJs at the weekend. Get the bartenders at Pia cocktail bar to make you something special before heading to the Rumpl Disco in the centre of town (there are usually buses from here back to the resort until 2am). Innsbruck has a lot more to offer, with some places on the ‘Bogenmeile’ nightlife strip staying open until 4am. Be sure to check out Theresienbrau - a great party destination as well as being a functioning brewery where you can watch their beer being made. There’s a wide selection of off-slope activities. Try out the unique ‘Wild Water Trail’, hiking up past the Grawa waterfall to the ice cap known as the ‘Top of Tyrol’. A famous base for hiking in the area is the ‘Franz Senn hut’, named after the local mountaineering legend who co-founded the Austrian Alpine Association. More daring visitors will be pleased to know that there’s paragliding and ice climbing available, and the Elfer has one of the largest tobogganing areas in Austria. The resort is perfect for nature lovers, and it’s really worth taking the time to explore the area. Take the ‘Stubai Alpine Express’ up to Maria Waldrast, with its splendid views of the Wipp valley, or a scenic tram ride to the idyllic village of Fulpmes. 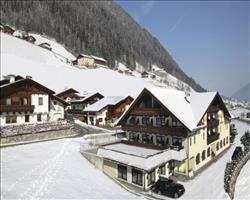 When is the best time to ski Neustift? Skiing on the glacier is available from October through to mid-June. This is one of the world’s best glaciers, with runs at altitudes up to 3210m meaning that you can usually enjoy great natural snow when the season is over in most other resorts. Skiing in the local region is available on the Elfer mountain slopes, which tend to be best during Feb-March but there are over 60 snowmaking cannons here - enough to make the majority of runs skiable even if the weather doesn’t provide. The slopes here face SE, so you’re likely to be skiing in the sunshine whenever you choose to visit. December is a busy month, with Christmas festivities starting early and going right through until New Year. The annual Stubai Freeride Festival in February is a great time to visit and make the most of the free workshops, film nights, and the main event, a huge downhill race for amateurs and professionals alike to compete in. Late season is usually busy as more and more skiers want speedy access to the glacier.